One thing that I've learned about myself is that I have periods of overworking myself and then (longer) periods of pure laziness. And it's quite an issue because it would be better if I could balance the two. It's still in the works. But a way to get myself to do something productive—even for a short period of time—is to treat myself occasionally. Especially if you have a mindset like me, where you think that it's bad that nothing productive is getting done, which only promotes more slumps. But even if you get something accomplished and it has been more than what you've been doing usually, then it is a small victory. It's not a bad thing to pat yourself on the back once in a while. In fact, just the right amount of self-appreciation can boost your confidence and work ethic. However, there can also be a negative side to treating yourself, don't get me wrong. 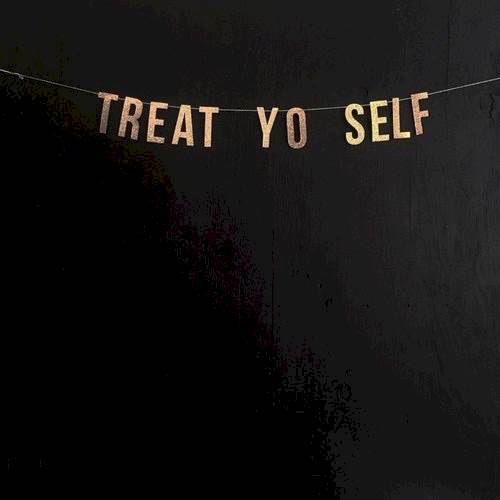 It is definitely possible to treat yourself too much, which produces even more laziness and self-deprecation. But there can be trial and error as long as you find the perfect amount of self-care in terms of work ethic. If you are struggling with productivity as well, I wish the best of luck to you. You can do it.